The @wordpress OpenID plugin no longer works with my site. I’m having a hell of a time finding an easy way to use my WP domain as an OpenID. So I thought, this morning, "I'll add a gem to http://manabasecrafter.com to act as an OpenID server." But all the gems are obsolete. Then I thought "Didn't I use something called MyOpenID at one point?" They've closed. Then I thought "Didn't Google offer one?" They discontinued it last month. Then I thought "I'll do it the dumb way and just use the WordPress plugin that does it on a dummy site." That plugin is no longer supported and incompatible with the current version of WordPress. Then I thought "I'll try it in raw PHP." There is apparently one working library, and all they offer is an example server "to give you an idea of how to write your own implementation." IndieAuth now supports OpenID delegation! You can now use IndieAuth.com as an OpenID delegate! This makes it super easy to move off of myopenid.com since it will be shutting down in a few months. Janrain just announced that MyOpenId.com will be shutting down by early 2014. 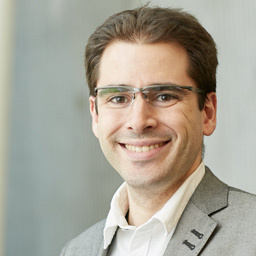 If you currently delegate OpenID on your domain to myopenid.com, you'll need to find a new OpenID provider. 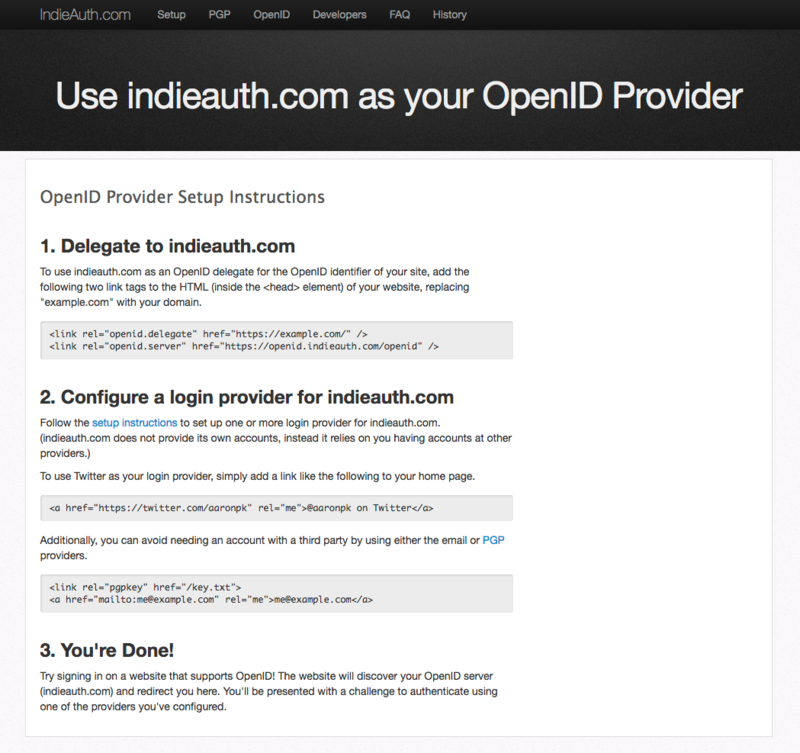 With the help of @peat today at the IndieAuth OpenID hackathon, we built in OpenID delegation support to indieauth.com! 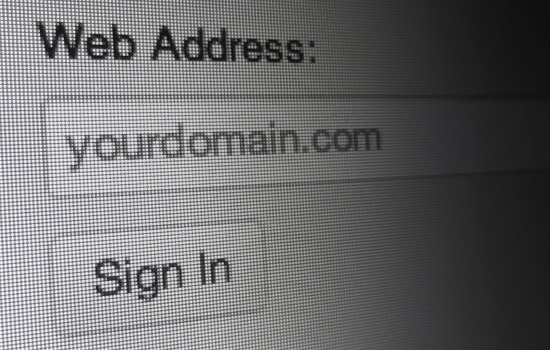 Now you can sign in to any website that supports OpenID using indieauth.com! Try signing in to a site that supports IndieAuth, such as the IndieWebCamp wiki or even my site. Now you should be able to sign in to any site that supports OpenID! Try it out on stackoverflow.com or sourceforge.net!